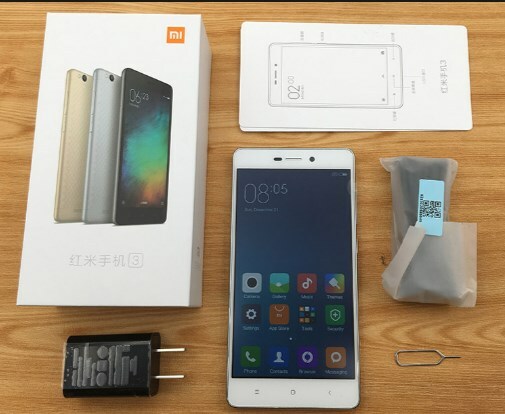 How to Install Custom TWRP on Xiaomi Mi 3 / Xiaomi Mi 3 Pro without Unlock Bootloader – If you’re new for holding an Android phone, this title may becomes a weird title. Yes, how come install Custom TWRP on Xiaomi Mi 3 / Mi 3 Pro without unlock bootloader while almost the people have to unlock bootloader before they can install Custom TWRP? This article created for you, because we just don’t lie or cheat you by its title,but we have found this method to help you if you want to install Custom TWRP without unlock bootloader your Redmi 3 / Redmi 3 Pro. Some people don’t want to unlock bootloader because they think it takes more time, it looks complicated. Sometimes their phone stucks on 50% and it says “couldn’t verify your device” or more than that problem. Actually that problem is easy, because we’ve found the method to fix it, but in this chance we’d like to focus it is about how to install Custom TWRP without unlock bootloader on Xiaomi Redmi 3 / Xiaomi Redmi Pro. Download TWRP MOD Non UBL v3.0.2.0 for Redmi 3 / Redmi 3 Pro (UBL means Unlock Bootloader). Additional file TWRP non UBL for Redmi 3 and Redmi 3 Pro. Download all file we’ve provided in this post. For Mi Flash tool, download and install it on your computer. Enable USB debugging mode on your phone, it is by tapping MIUI version about 7 times, and then go to Additional Option. Then you can can enable USB debuggin. Extract TWRP Mod non UBL file you’ve downloaded before via Winrar application on your PC. Once it is extracted, launch Mi flash tool. On Miflash application you'll see arrow on the next browse button, select Advanced and then click Browse on the Fastboot script then select flash.all that inside in the folder you've extracted (TWRP non UBL). Turn off your phone, and then connect to your PC via USB cable on Download Mode. To enter to Download Mode, press and hold power button + volume up and then select download by navigating it via volume and select it by using power button. Once it is connected, press refresh on MiFlash application , then next continue to click flash. Installation process will be running, just wait wait until your phone detected as COMx. Once it is finish, unplug USB cable from your phone and PC and then go to Recovery modeby pressing volume up + power button, once Mi logo has appeared, release power button! but keep on holding volume up button until you go to TWRP mode. Remember, every time you install MOD, flashing ROM etc or doing anything via TWRP you've to flashing it via additional file (JAMU) non UBL Redmi 3 and Redmi 3 Pro (this is mandatory). If your phone rebooted to the Homescreen but can't install it after flashing TWRP via Flashtool, reinstall the steps above as usual. Remember to always take full back up before you follow this instruction. Belum ada tanggapan untuk "Install Custom TWRP on Xiaomi Mi 3 / Xiaomi Mi 3 Pro without Unlock Bootloader"